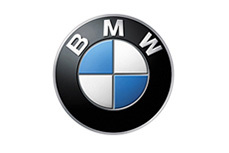 BMW and MOG today announced availability of MOG’s award winning on-demand music service in all 2011 BMW vehicles equipped with the BMW Apps option in the US. The BMW i3 Concept is an uncompromisingly sustainable vehicle designed for urban areas. Driven purely by electric power and purpose-built to meet the demands of sustainable and emission-free mobility, the i3 embodies an intelligent form of urban transportation and commuting. The appeal of the 1 Series Coupe and Convertible never rests merely on being the entry level step to the Premium Class of fine automobiles. Instead year after year, the 1 Series gets the usual BMW attention to product attributes. BMW raised the performance benchmark once again with the introduction of the 4th generation M3 Coupe and Convertible in 2008. Both share the unique, high-revving, 414-horsepower V-8 engine and choice of 6-speed manual or 7-speed M Dual Clutch Transmission with Drivelogic. BMW X5 models for 2012, offer a choice of trim levels and equipment, namely the X5 xDrive35i Premium and X5 xDrive35i Sport Activity, in addition to the familiar BMW Advanced Diesel X5 xDrive35d and X5 xDrive50i. What if you could have the other-roads capability of BMW’s celebrated X5, combined into one vehicle with the presence and remarkable driving dynamics of a BMW Coupe? The classic roadster is back - more powerful and more stylish than ever before. It is the BMW Z4, the only car in its segment that combines classic roadster proportions with a seating position near the rear axle, rear-wheel drive, and a retractable hardtop. The BMW ALPINA B7 represents the second generation of ALPINA automobiles based on the BMW 7 Series to be offered in the US. The first BMW ALPINA B7 was offered as a limited edition for the 2007 and 2008 model years. 2011 BMW i - a new understanding of mobility.